Combining the well established and recognized practices of Salans and SNR Denton, Dentons fields one of the largest international law firm teams in Russia. We provide the legal advice you seek in all sectors and service areas in which you do business. Combining depth and breadth of international and local expertise with long experience of the country, Dentons is a firm that understands the challenges of doing business in and with Russia, and is adept at finding solutions. Working from offices in Moscow and St. Petersburg with a combined team of around 140 legal practitioners, we can assist you throughout Russia, using local contacts as and when necessary. Tap into one of the best and broadest networks in the region, with offices in Almaty (Kazakhstan), Baku (Azerbaijan), Kiev (Ukraine), Tashkent (Uzbekistan) and Tbilisi (Georgia). Whether you are a Fortune 500 global corporation or a Russian company, international bank or other financial institution, private equity fund, state-owned entity or a nonprofit organization, Dentons can advise you in connection with your business, investments and operations in, and out of, Russia. To address all your transactional and advisory needs, our practice provides a full range of legal services. A leading European IFI: Advising on the joint acquisition with US private equity firm TPG and Russian bank VTB Capital of a 44% stake in Lenta, a Russian food retailer operating a branded chain of large-format discount stores, from a US-based private investor for a total consideration of US$1.1 billion. A leading European international financial institution: Advisng on senior syndicated €320 million loan facility to PCMA Rus, a Peugeot-Citroen / Mitsubishi Motors joint venture, for financing the construction of a €500 million automobile manufacturing plant in Kaluga. The cars produced will be mid-sized passenger cars and SUVs sold under the Peugeot, Citroën and Mitsubishi brands. The size of the plant will foster the growth of the auto parts suppliers’ industry in Russia, a development which holds the key to making the local automotive industry competitive as a whole. Coca-Cola: Representing The Coca-Cola Company on acquisition of Nidan Juices, the fourth largest juice producer in Russia, from Lion Capital, a UK-based private equity fund. Gazprom: Representing in a high profile arbitration brought by the Ministry of Energy of the Republic of Lithuania before the Arbitration Institute of the Stockholm Chamber of Commerce. The Ministry claims that Gazprom breached the share purchase agreement and shareholders agreement by selling gas to a joint venture company at supposedly “unfair” prices. The Ministry claims damages in excess of US$1.9 billion. 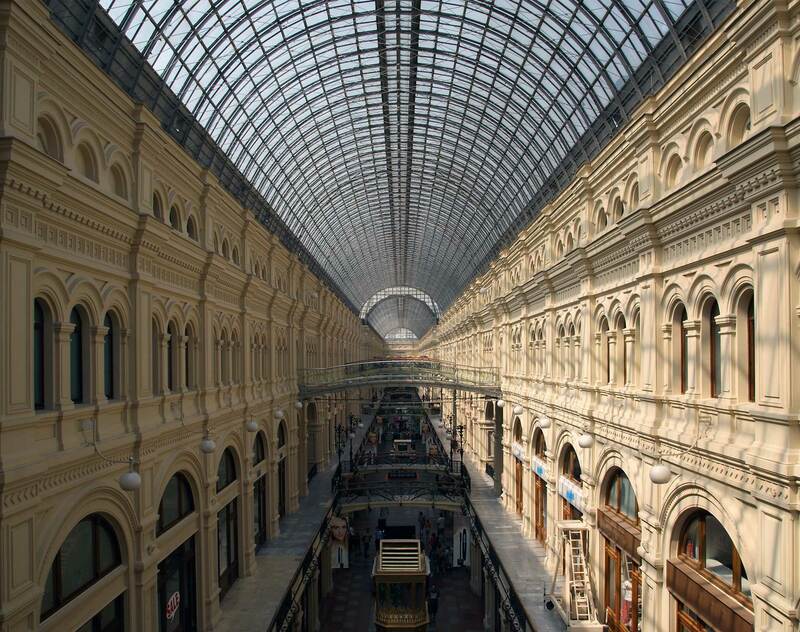 Georgia-Pacific: Advising on the Russian law aspects of the €1.25 billion sale of substantially all of its European consumer businesses, in particular the sale of ZAO Georgia Pacific. The transaction includes Georgia-Pacific’s consumer and away-from-home tissue paper products and personal care businesses and manufacturing assets across Europe, including leading consumer brands as well as away-from-home and private label products developed, manufactured, marketed and sold by 5,000 employees. In the proposed transaction, SCA has agreed to hire all current Georgia-Pacific EMEA employees. Ruetgers Group: Advising Europe’s manufacturer of chemical raw materials, on a joint venture with Severstal, Russian steel producer. The joint venture RÜTGERS Severtar will use the tar pitch processing shop at Severstal's factory in Cherepovets to produce vacuum pitch, technical oils and naphthalene by deep conversion of coal-tar. Russian state corporation: Advising on US$1.2 billion facility for the Ford-Sollers automobile manufacturing joint venture. The Ford-Sollers JV plans to establish and modernize three automobile production facilities in Naberezhnye Chelny, Elabuga and Vsevolzhsk, build an engine production plant and establish a technical research center in Russia. The JV's total capacity is expected to reach 350,000 automobiles and 180,000 engines per year. Its production localization level will amount to 60%, and more than 3,000 new jobs are envisaged. Sistema JSFC: Advised Sistema JSFC, the largest diversified public financial corporation in Russia and the CIS, in connection with the sale of stake in OJSC Bashkirenergo, a major regional integrated utility company in the Russian Federation’s Republic of Bashkortostan, to INTER RAO UES, a diversified energy holding working in various sectors of the Russian and international electric power industry, and the reorganization and subsequent demerger of the power grid and power generation assets of Bashkirenergo, resulting in Sistema holding 92.48% of the voting shares in Bashkir Power Grid Company and INTER RAO UES holding 92.48% of the voting shares in Bashenergoaktiv (which was immediately merged into INTER RAO UES). Sistema JSFC: Advised Sistema JSFC on US$ 379 million sale of Sistema Telecom LLC, a non-operating subsidiary of Sistema JSFC, to OAO Mobile TeleSystems (MTS), the leading telecommunications operator in Russia. The acquisition included a 45% stake in TS-Retail, in which MTS already held a controlling 55% interest, and property rights in respect of a group of trademarks, including the egg trademarks of MTS, Comstar-UTS and Moscow City Telephone Network (MGTS). As part of the transaction, MTS assumed debt of approximately $59 million. The acquisition provided MTS full control of its logos and trademarks. The founders of Novomet-Perm: Advising one of Russia's largest electrical submersible pump manufacturers, in the partial sale of its business to a syndicate of 3 Private Equity investors, namely Baring Vostok Capital Partners, Russia Partners and RUSNANO. Following the transaction, the founders of Novomet have retained a controlling stake in the joint venture. The transaction was named the “Central Deal of 2011” by PROVECA (PRivate EQuity & VEnture CApital). Troika Dialog and Russian Technologies State Corporation: Representing in a transaction involving the sale of shares in the Russian carmaker Avtovaz to Alliance Rostec Auto BV, a joint venture between the Renault-Nissan alliance and Russian Technologies State Corporation, resulting in Renault-Nissan alliance acquiring control over the Russia’s largest carmakers.